I’m sitting in the living room of my apartment right now enjoying a fabulous thunderstorm. We don’t get rain much in Kunming (and Yunnan is going through a serious drought) so the heavy rainfall is very welcome. It’s also nice just to relax and listen to the raindrops, and think about the wonderfully carefree weekend to come. I haven’t been blogging much this semester. 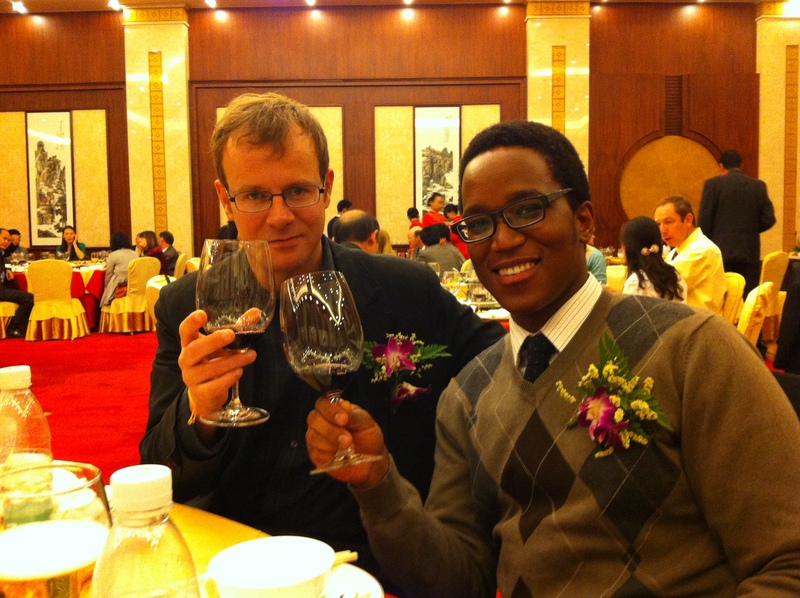 I think the novelty of teaching and living in China has kind of worn off, and although surprising things still happen on a daily basis, I’m not as motivated to post about them. I’ll have to find a new angle and get back into the swing of things, because I miss writing here, and I miss reading people’s comments. But, to update you on what’s been going on in my life, allow me to show you a few pictures. I bought a blender a few weeks ago, and it has been an inspiration. Suddenly I’m able to mix up all kinds of delicious smoothies and delicious foods. 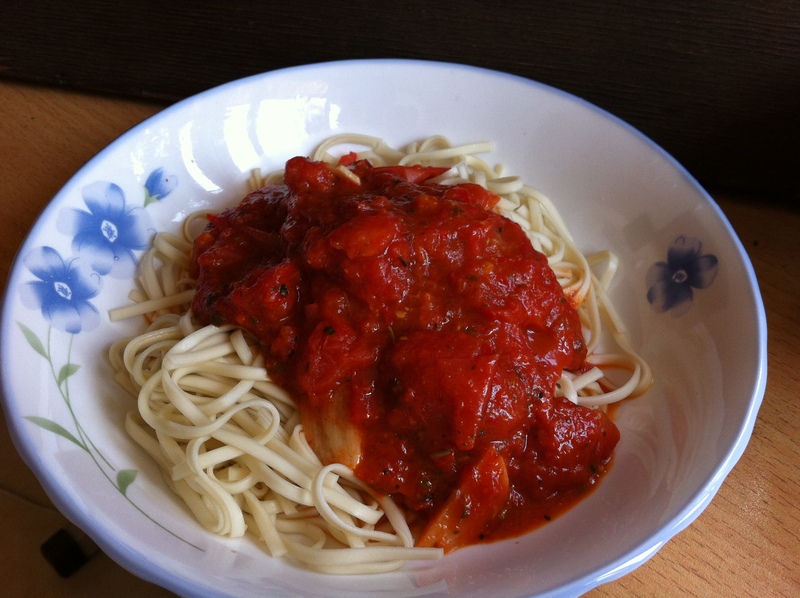 Homemade spagetti sauce with fresh tomatoes, blended red pepper (because I don’t like them, but if they are pulverized into the sauce, then they’re ok! ), garlic, italian seasoning, s & p and a dash of sugar. Looking at this picture is making me hungry! Smoothies galore! 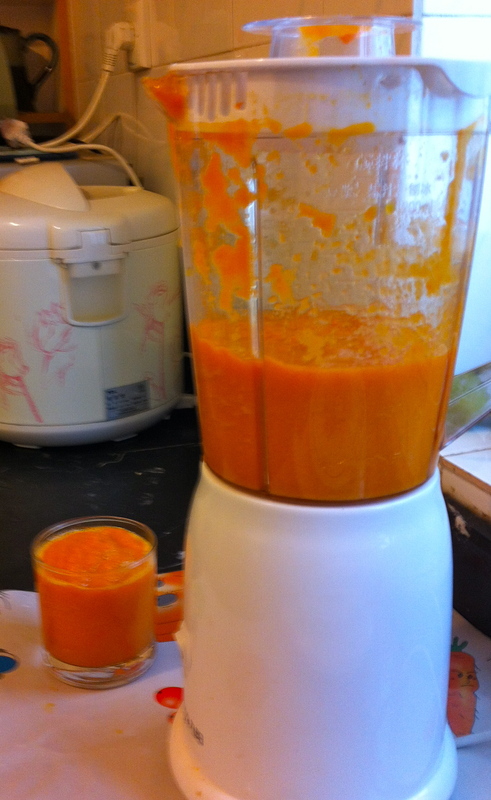 This is carrot and mango with yogurt– not my favorite flavor combo, and it looks reminiscent of baby food. So far, banana and mango has been really good. I make a smoothie just about every day now! 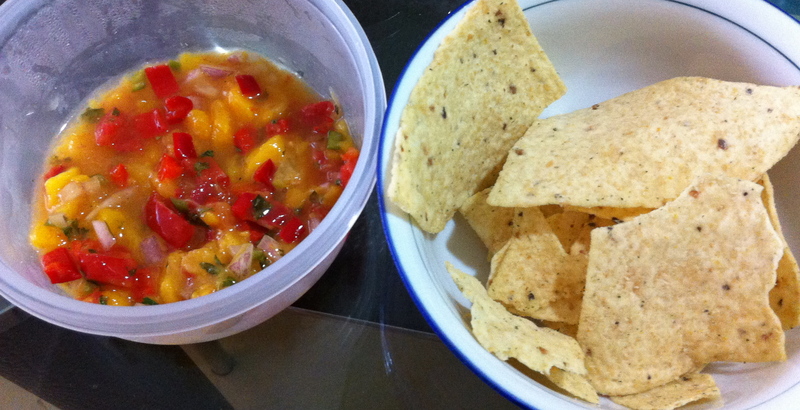 Mango salsa! Ok, so we chopped up these ingredients by hand, but it was still amazing. Jess and I also made a regular salsa, but it got gobbled up before I snapped a picture of it. Also notice the Tostitos hint of lime chips from the import store– an expensive but very worthwhile accompaniment to the salsa. 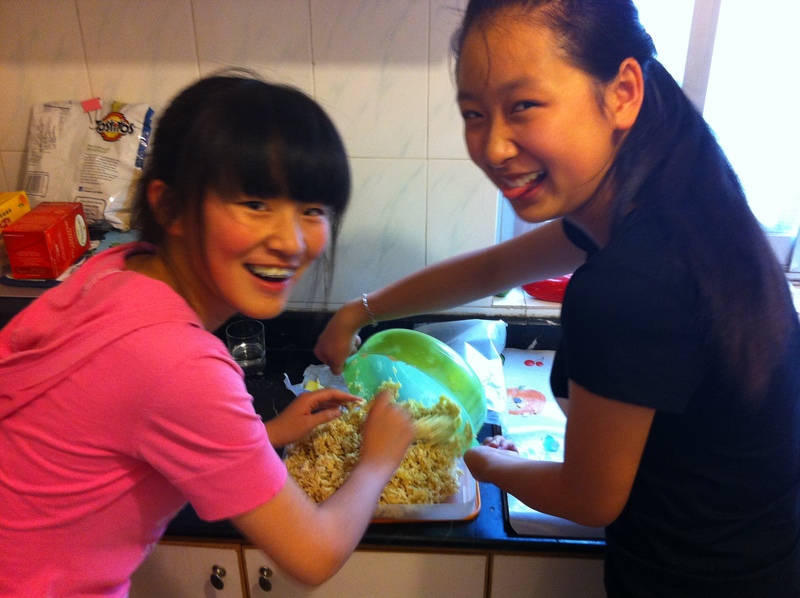 Making rice crispie treats with the girls I tutor. They really enjoyed the process, and of course, the finished product! 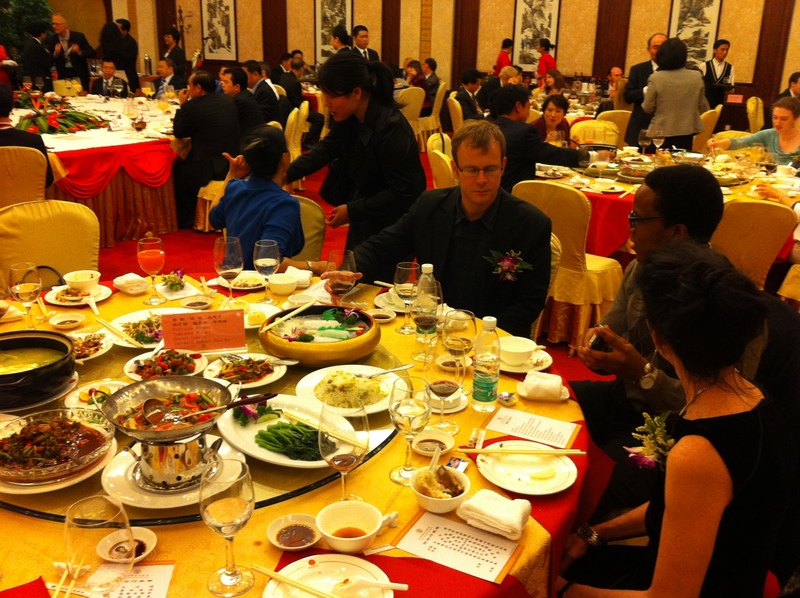 Fancy eats at a banquet for “Foreign Experts” in Yunnan province (That’s what they call expat teachers/professors, so yes, I’m an expert!) Tons of very fancy food! Foie gras with pear anyone? Or maybe some black truffle soup? Mmm. I tasted it all! Fast fruit! Buying a papaya from a roadside stand. 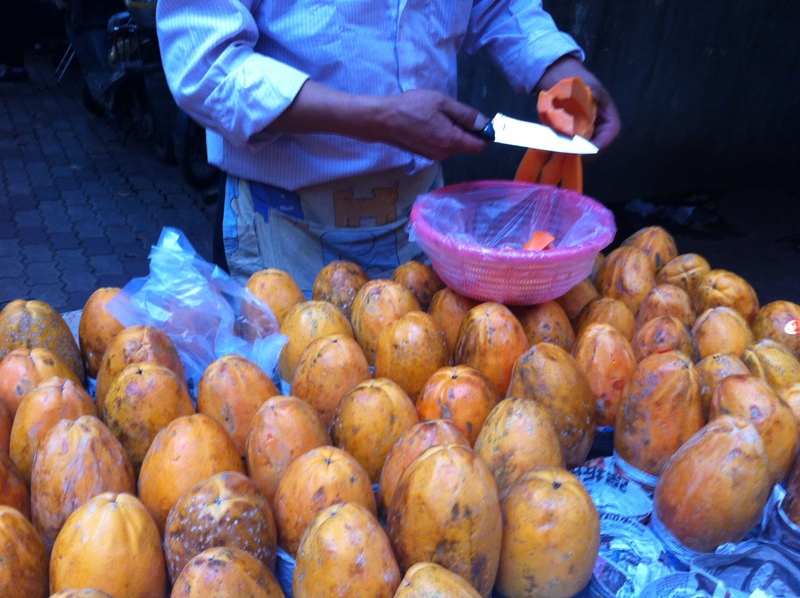 A full papaya, peeled and cut is less than US $1. Very convenient. Thanks Kimber! It sounds as if things are going very well for you, I am glad. We are fine. Totally enjoyed my first trip to Texas even though it was pretty hot. Austin is a great town and between Kev and the Hobbies we managed a wonderful tour! Love to you. OOPS! 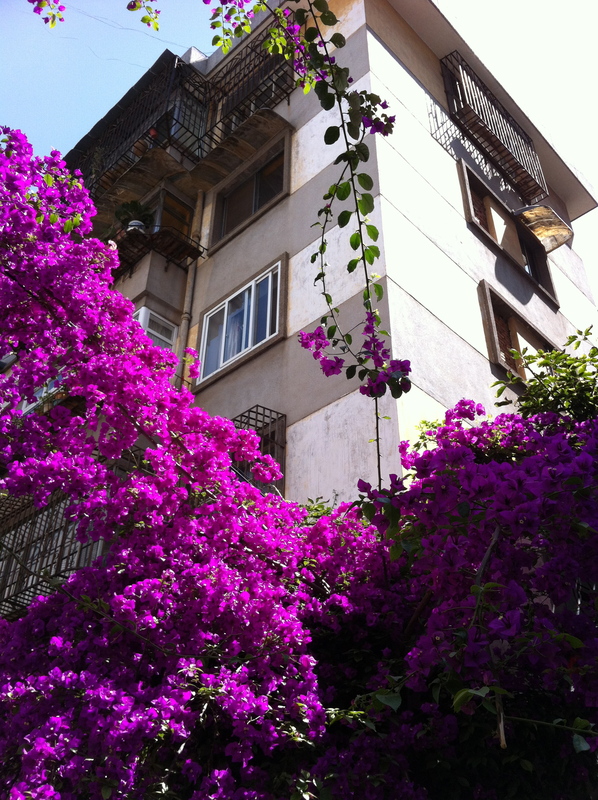 Those purple flowers are a gorgeous color. Are you looking outside of Kunming at this time? Kimberly, your blogs on any topic are interesting, keep them coming. 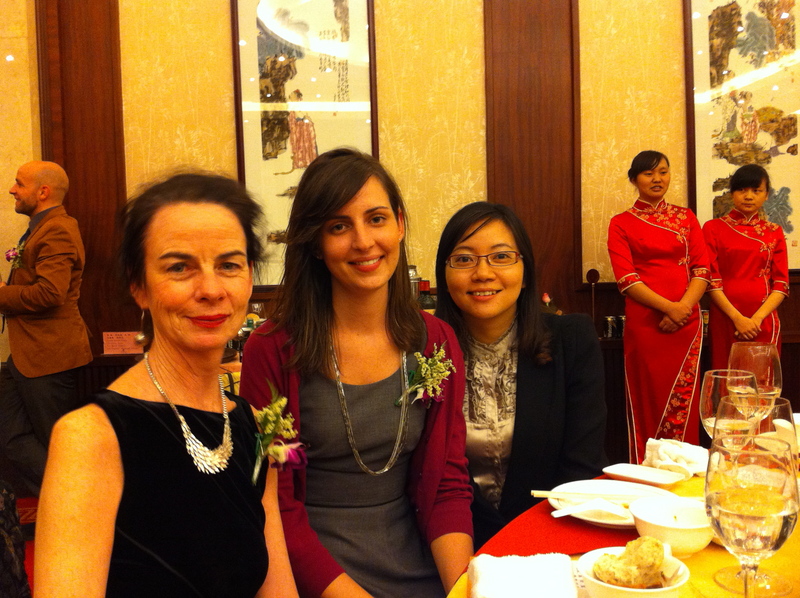 I’m staying in Kunming for another year, but I’ll be back in the US for August. It’s hard to think about saying goodbye to all of the good friends I’ve made here.